Is Exploited the label of the decade? Vote now via Mixmag. MIXMAG are celebrating the last ten years of dance music with their Label of The Decade Poll. Show your support for us HERE. The last 10 years from 2007 to 2017 has been an incredibly vital period for the dance and electronic music, seeing a surging ascent of its popularity and the birth of a diverse range of genres. Labels have been a driving force at the heart of this creatively prosperous decade, cultivating new styles and giving platforms to the new generation of groundbreaking artists that has emerged. 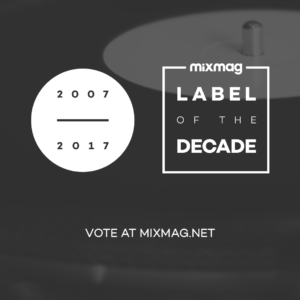 For these reasons MIXMAG has launched a poll to find the Label Of The Decade, celebrating the achievements of a monumental chapter in the history of our scene. Exploited is included in this list of 200 labels. Would be lovely to see your support.